Copper Crossing Building 1 is nearing the finish line! As the weather gets warmer and the crews are able to shift their focus to finishing the outside of the building the end of construction is looming ever closer! We are so excited for the start the tenant improvements in building 1 to get it ready for Olive and Cocoa’s new corporate headquarters and distribution center. We anticipate Olive and Cocoa will be able to move into the building in August. Michael and I were very honored to share the award for the Largest Industrial Lease transaction in Utah last year. The CCIM Utah Chapter hosted another great event at the Grand America Ballroom at the annual Excellence Awards. 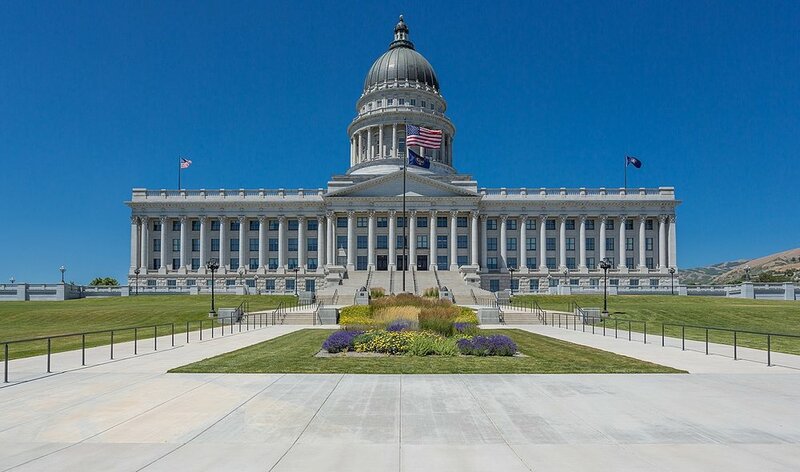 We've been very fortunate to have incredible clients, an amazing team at IPG and feel lucky to live in the State of Utah where support from the the Governor's Office of Economic Development and EDCUtah can't be beat. Team Utah always rolls up their sleeves to create an environment for businesses to flourish and grow. Special thanks the Herriman City, Kennecott/Rio Tinto, Riverbend Management, and of course, Bullfrog International for giving us the chance to participate in the new building of the new corporate headquarters and manufacturing facility for Bullfrog Spas.